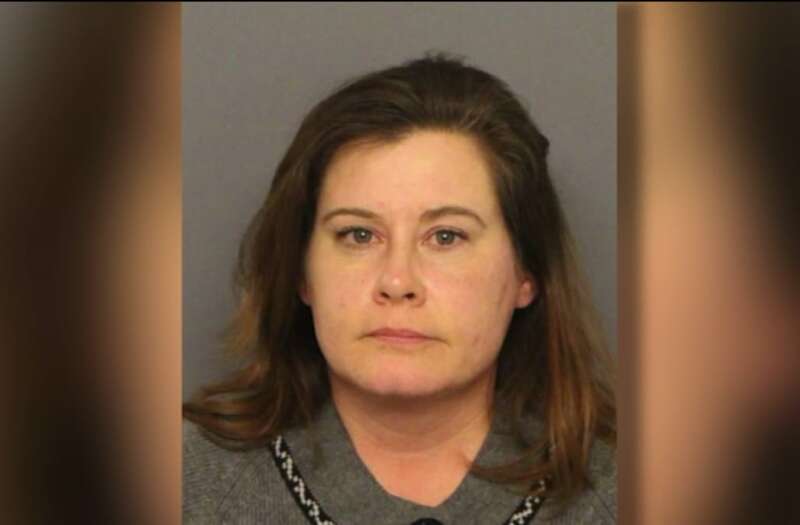 DENVER (KDVR) -- A Transportation Security Administration agent found a loaded 9 mm semiautomatic handgun in the bag of State Rep. Lori Saine as she tried going through security at Denver International Airport on Tuesday, the Denver Police Department said Wednesday. DIA ranked fifth highest for firearms discovered in carry-on bags in the United States last year. In the past 12 months, Denver police responded to 106 reports of a firearm within a security checkpoint at the airport. A TSA agent found a loaded semi-automatic gun in State Rep. Lori Saine's bag as she tried going through security at Denver International Airport on Tuesday. A Denver police officer advised Saine of her Miranda rights and she requested an attorney. Saine, a Republican from Firestone in Weld County, was taken into custody for investigation of introduction of a firearm into a transportation facility. She has not yet been charged and will be released from jail Wednesday night on a personal recognizance bond. The pre-charge is a sixth-degree felony with sentencing guidelines of up to a 18 months in prison and fines of up to $100,000.